Leave it to Apple to discriminate not only against other platforms, companies with similar home screens, or any other firm that dares to threaten their authority, but also against people from different parts of the world. And here’s the best part. An Apple Store employee apologized and recommended that they buy their products online. Hah! So when a US citizen and her uncle come into an Apple store speaking Farsi, they aren’t allowed to buy anything and are basically instructed to purchase the products as long as no Apple employees need to look at them. This is how Apple rolls, everybody. I could be annoyed at the employees, or the manager, or the Store, but really, Apple is to blame. The same thing can happen anywhere in the US, as long as Apple decides that selling an iPad to a US citizen that speaks Farsi is breaching a US law stating that it is illegal to enter Iran with “laptops or satellite cellphones” without U.S. consent. The MacBook Air is a great computer. However, sometimes it’s nice to have a bigger display. That’s an easy task if you have an external monitor. Okay, so now you have two displays. Cool! The only problem with this is that it can sometimes be confusing and/or distracting to deal with two displays at a time. Okay, simple enough, just close the lid to the MacBook Air and use an external keyboard and mouse. That was easy. This would be the answer to all of our problems, however a closed computer does take up quite an amount of valuable desk real-estate. That’s why the BookArc is here to save us. As you can tell, it is really just a stand for the Air that holds it up sideways. The stand is made of solid aluminum, and has rubber inside so that you don’t scratch or in any way damage your beloved MacBook Air. It also has a small indent in the side to manage any cables you might have, and was designed to fit the cable from an LED Cinema/Thunderbolt Display quite well. This saves a ton of desk real estate, and can really come in handy. But the fun doesn’t stop there! Usually laptop cooling requires some fancy advanced stand that usually doesn’t even work well. Well, here’s my personal cooling system. Yeah, that’s it. I have the MacBook Air and a desk fan pointed at the bottom. 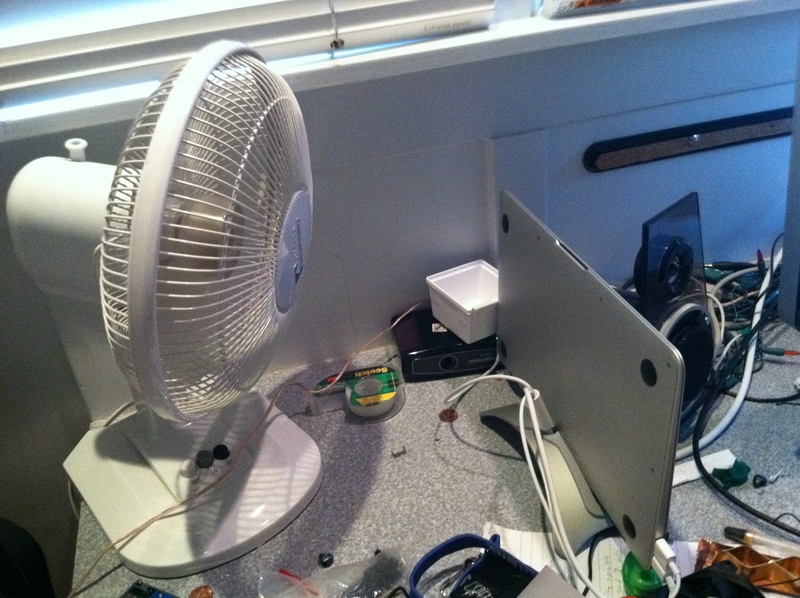 This will keep your Mac nice and cool, so you won’t have to worry about heating issues ever again. Nifty! The BookArc is a simple, elegant stand that serves its purpose quite nicely. If this stand were any more, it would be too complicated and much less attractive. It saves you a ton of desk real estate, and at the same time you can cool down your computer! 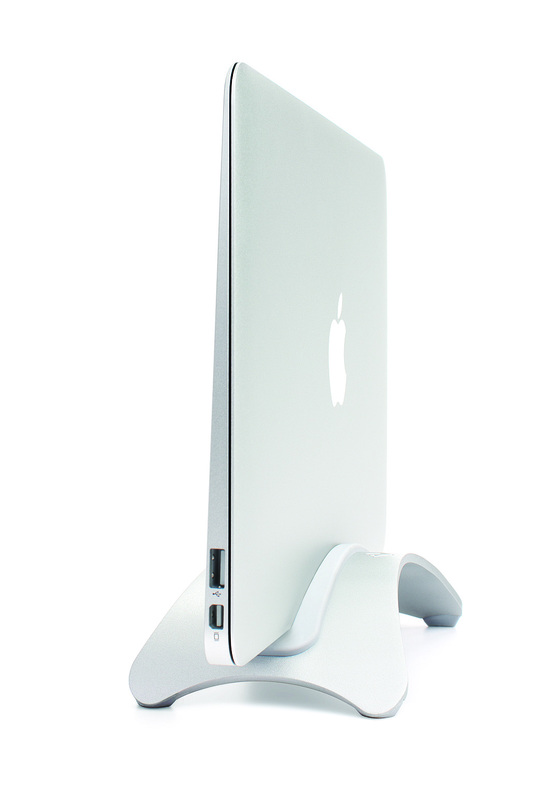 The BookArc is available for all MacBooks, and the pricing is respective of that. The BookArc for MacBook Air is available for $40, and you can even pick one up right at your local Apple Store! Click here to go to the Twelve South site and get one for yourself. As you may have read in a previous post, my beloved MacBook of three years has finally bit the dust. That MacBook treated me well, and with an SSD and upgraded RAM it was able to work wonders. Now, however, it is time to move on. And as you may be able to tell by the title, I have decided to continue my Mac collection with the newfangled MacBook Air. 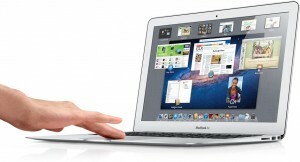 One of the big reasons I wanted the MacBook Air was because of its portability and the offering of an 11 inch version. Due to this, I got the 11 inch MacBook Air with a 1.8 ghz Core i7, 256GB flash storage, and 4GB of ram. I can hear a lot of you saying “Isn’t 11 inches a little small?” Why yes, it is. However, when I’m at home, I have an LED Cinema Display to hook it up to – no lack of pixels over here. 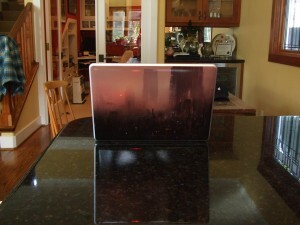 The design of the MacBook Air does NOT fail to amaze. It feels so thin and light in your hands, but at the same time it feels incredibly solid. 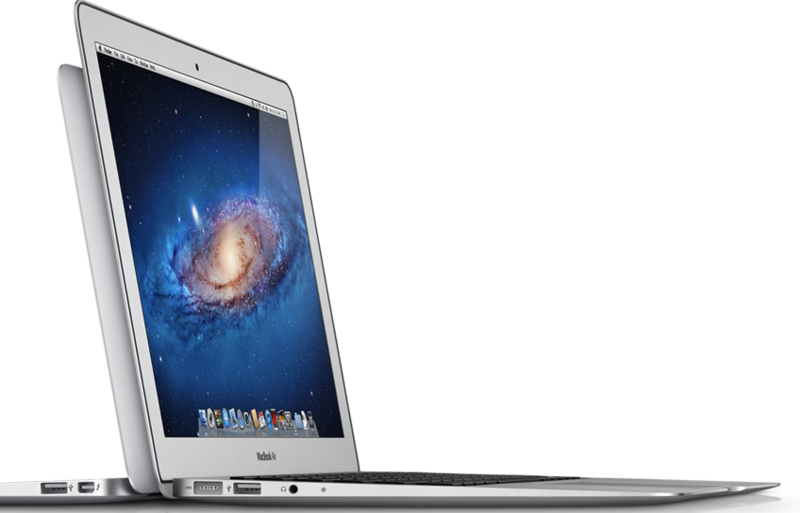 Because it’s a “unibody” MacBook, it was manufactured from one single piece of aluminum – it’s strong. Tapering from 0.68 inches down to 0.11 inches, you can bet your bank account it’s thin. Thanks to this, I can finally accomplish my dream of slipping my computer into a manilla envelope. The one problem with this pencil-thin design, however, is that on the whole computer you get a total of five ports. On the left side, we have a MagSafe power adapter, USB port, and microphone/headphone jack. On the right side we have a thunderbolt port and a USB port. Sorry, disc lovers! Upon opening the computer, you get some more goodies. The first thing you’ll notice is the screen. It’s bright and, well, beautiful. It packs a very nice DPI, featuring a 1366 by 768 resolution squeezed into 11.6 inches of glossy glory. Next, you’ll notice the keyboard. The keyboard is full-size, featuring every key you’ll find on that thick MacBook Pro. In addition to being full-size, the keyboard is also backlit – a feature that was definitely missed on the previous version of MacBook Air. The next thing you’ll notice is the giant trackpad. This trackpad resembles that of the MacBook Pro, although on the 11 inch version of the MacBook Air it’s a tiny bit thinner. The glass surface is a cinch to move your fingers across, and is extremely responsive to say the least. Last and, well, least, would be the FaceTime camera embedded in the bezel of the screen. Apple decided not to put in one of the new FaceTime HD cameras, and will probably bring it back in the next version of the MacBook Air. Nonetheless, it’s still a standard functional webcam that is definitely a good addition. In addition to being quite the looker, it gets a high score in the area of performance as well. As far as processing goes, the 1.8ghz hyper threaded dual-core i7 works wonders. The 256GB SSD performs at ~250mbps Read/Write speeds. The 4GB of RAM is sufficient. For comparison, I’ll test the performance of the Air versus a pro using Geekbench. I first ran it on my mother’s MacBook Pro (Late 2009), which features an intel Core 2 Duo and 8GB of ram. It scored a Geekbench score of 3002. Not bad. Then I ran it on the Air. It scored a whopping 5200 – which is a 70% increase from the pro, in 30% of the space. The one setback of the Air’s performance would be graphics. It’s running an Intel HD 3000 chip, which is integrated so it doesn’t boast the same performance that you might get with an nvidia card. Although it might not be on par with an nvidia, it’s still a perfectly good graphics card nonetheless. If you’re thinking of buying one of these, there’s one thing that you might be at risk of. The SSDs in the Airs are provided both from Toshiba and Samsung. This would be no problem, however the Toshiba SSDs are about 100MBPS less than the Samsungs. Yeah, that’s a big difference. 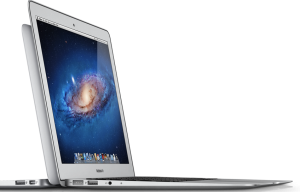 The MacBook Air combines the two most wanted/needed components of a notebook computer: power and portability. The powerful processors and fast memory give it some meaty specs, and then the 0.68 to 0.11 inch body makes it a lean, mean, working machine. I definitely recommend this computer to everyone, whether you’re a professional video producer or an under-appreciated artist living in a college dorm. Well, you got your shiny iPad. It does everything as advertised. But it can do even more. You can turn it into a secondary display for $9.99! First, on your iPad, download an app called Air Display for $9.99. First, download the plugin at avatron.com/ad. Then, install the package and restart your computer. Make sure your iPad is awake and Air Display is open. Click on the Air display icon on your mac’s menubar and select your iPad from the list. Your screen will turn blue, then your iPad should be connected. By default, your iPad is configured to be on the left. So drag a window off of the left side of your main screen and it will appear on the iPad. cool! You can also touch on the iPad like a mouse (no right click though). Now that you have your Air Display configured, lets personalize it. Open System Preferences and click Displays. You will see a window show up on each of the displays. But the one we really want to use is the one on the main display (the main display is the one with the Menubar at the top). You will see that on this display there is a window that has an arrangement tab at the top. Click Arrangement and here you will see two screens: the smaller one is your iPad. You can click and drag you iPad to a different side of the main display depending on the physical position. You can also drag the menubar to the iPad to make it the main display. Now this is cool and stuff, but a really cool use is that you can finally run flash on an iPad! the fps is less then 30, but it will do for the most of us. As you can tell, I have the Macbook to the left of my monitor. 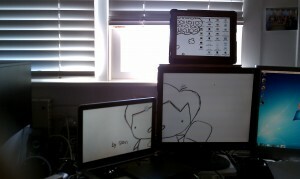 I then put my iPad on top of my monitor and am using my iPad as my main display;. This eliminates desktop clutter, and when working in photoshop all of my tools don’t get in the way so I can work on a pretty big image. As you can tell, it looks similar right? All of my icons are on my iPad along with the menubar, allowing more room on the main display. Sadly, the wallpaper doesn’t span across all of the monitors automatically, it just takes a lot of cropping in photoshop so you get three different pictures that eventually come together as one image. Also, cool picture right? It’s a portrait of me drawn by one of my friends. If you look on the iPad, you’ll see a thought bubble with binary. 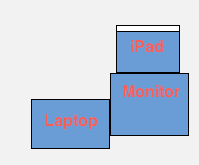 Sadly, you need to add the iPad as a display with the menubar icon every time you restart your computer. Also, it’s hard to use it while the iPad is syncing. There’s a cool way to impress your friends! Do you have a laptop? Chances are you do. And because you are reading this, chances are, it’s a Mac. Probably a MacBook or MacBook Pro. And I’m guessing you travel with it (after all, it’s a laptop). Instead of just throwing it into your suitcase, protect it. 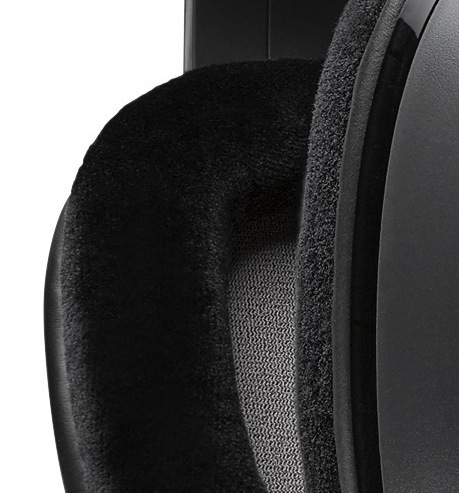 And now with just any case, protect it with a custom-fitted incase neoprene sleeve. These cases don’t fit with any laptop. They are custom-fitted for particular computers. The 13-inch version works with the new 13″ MacBook and MacBook Pro. If you have a 13″ MacBook (late 2008, aluminum unibody) it works as well (that’s what I have). The computer snugly fits it, so it doesn’t bump around in the sleeve. It is lined with a faux-fur interior, which will not scratch that precious laptop in a million years (as long as you don’t get sand in it for some reason). It even has a cool protective border around the edges, so in case something bumps in to it your MacBook will be just fine. And last but DEFINITELY not last, you are rushing through airport security. Avoid everybody in the line behind you yelling at you for taking too much time, because this sleeve is airport safe. Just slip the whole thing out of your backpack and safely through security it goes. Another benefit of this is you don’t have to expose your MacBook to where all sorts of things go (in the bins, I mean). If there is sand in one of those bins and you put your precious but bare MacBNook in there, SCRRRRRATCH! Not good, and that will NOT put a smile on my face. Also, if any of you consult support from me (feel free to by emailing support@goodmorninggeek.com), I highly recommend use thus case. 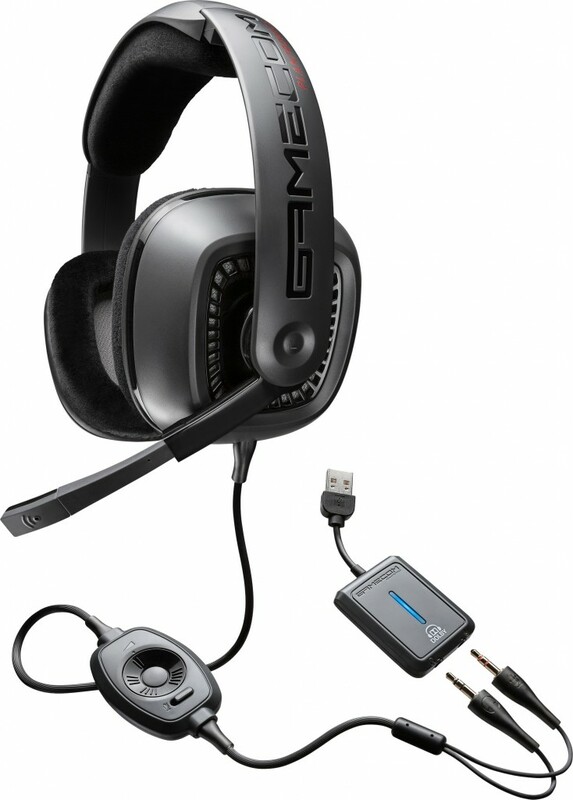 It is available in multiple colors and also for 15″ MaxBook Pro, among many other diferent computers. Let me warn you, it’s $40 (er, $39.95), but definitely worth it. Get yours below! As you may know, I recently attended the Macworld Expo, which I sadly thought was a bit of a letdown [link]. One of the great things about this thing is that the surface is scratch resistant. Yay! There are so many great aspects of this, and because of my 100GB of hosting space at mediatemple, I’ll happily list all of them. The adhesive is sticky, but not gooey, which gives easy removal. Yay! It’s not bulky at all, its very thin. Yet it is quite durable! As you may tell by that picture up there, there is a border of aluminum around it (actually it’s the lid of my MacBook which the skin dosn’t [and isn’t supposed to!] cover up). This makes it so it’s easier to put on, it shows of the “still-aluminum-ness” of my MacBook, and it doesn’t have to be aligned completely perfectly. This also makes it less prone to waring at the edges. I must say, this is a great way to get “protection with style, not bulk” for your iPod, phone, laptop, and so on. 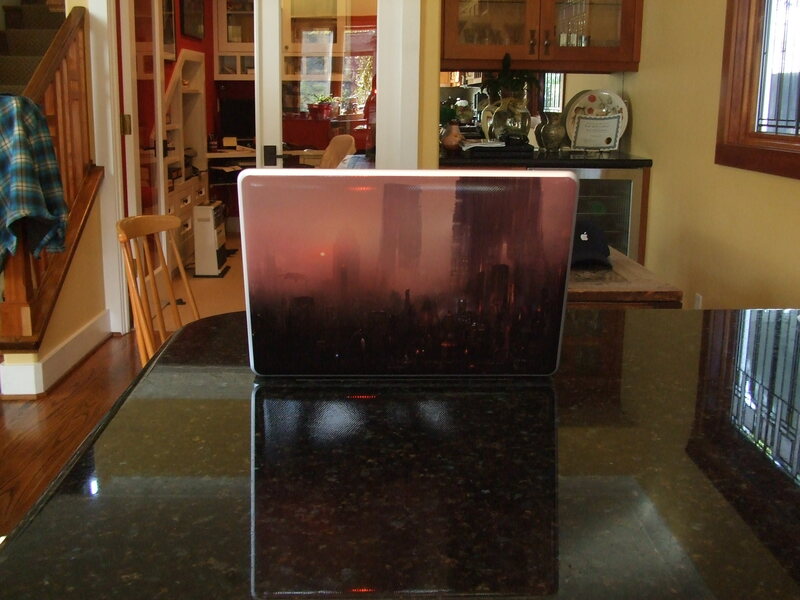 GelaSkins makes custom cuts for a large array of devices. You can even make your own Gelaskin using your own image and text. Cool! Gelaskins range from $15-$30, depending on your device. Get your own at gelaskins.com! This was yet another goodie I got for free at TeensInTech, but this one I won in a raffle. Sadly, the Snowflake is USB, so I can’t connect it to my (soon to arrive) Kodak Zi8, but after all, this thing was a freebie. Overall, the Blue Snowflake is a high quality microphone great for chatting and some recording, but it is definitely not studio grade, and the price of $80 is questionable compared to what I’m getting here, with the failed factory assembly and the background noise.